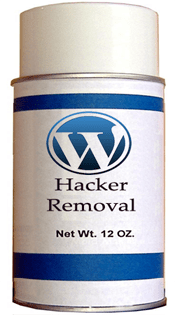 Switching from joomla to wordpress, my hacker followed me. I tend to get hacked (wonder if it is because dreamhost.com is lame). Fortunately, I found a site that gave me a one-liner to fix said bullsnap. Thanks to magpiebrain.